The easiest way to put the caps on your home brewed beer is to use a bottle capping tool. I have seen several ways to do this and even one who did it with a hammer. It is better to use a capping tool that is specially made for this process of course. There are two basic bottle capping machines that will do the job of capping your home brew and that are a bottle capper that you place on the bottle and clamps on the bottle or the other option is to use a bench bottle capper. We will have a look at both of them here. It is also important to use the right home brew bottle caps like you can read here. 2.1 Our opinion about the Red Baron hand bottle capper. This is the cheapest way and for many home brewers also the most affordable way to cap their home brewed beer they made in their beer kits. A picture can paint a thousand words they say. This will explain it probably better than I can. Hope this made it clear what a hand bottle capper is and does. Let’s have a look at the ones we think are giving you the best value for your hard earned money. I think this is one of the most used and sold beer bottle cappers. 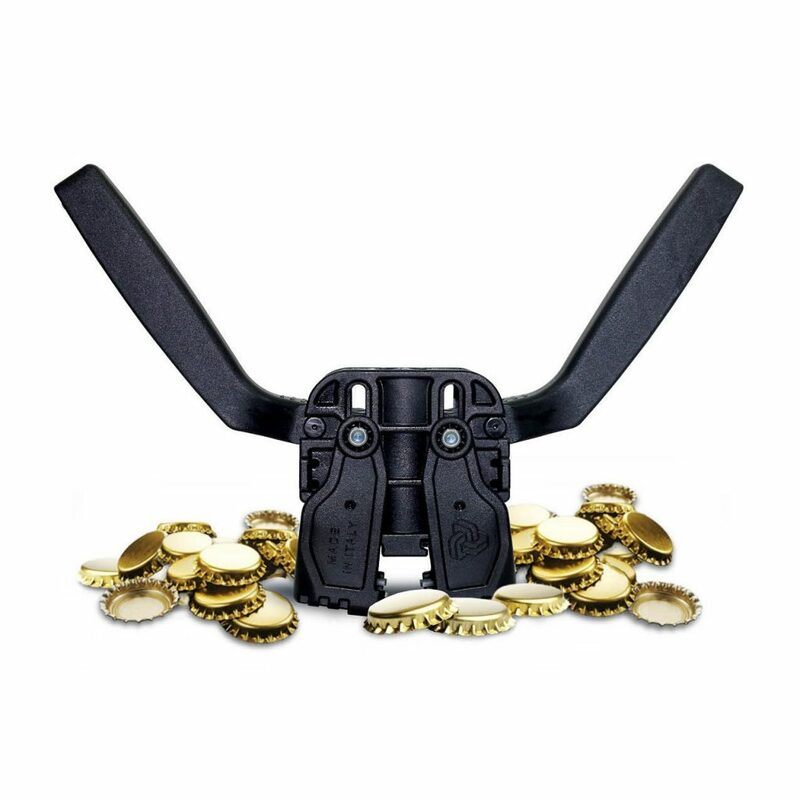 I found many reviews and forums where they talk about this one and I even read that some people call it the best beer bottle capper but that is a personal thing. Just to make sure this bottle capper can not be used for twist caps only for the regular caps. 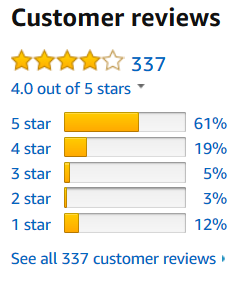 Overall the users are pretty happy with it and that shows in the average of a 4.3 star ratings. There is no product that does not get a few bad reviews and this one is no exception to that rule. Only a few law ratings however. Moat of them mentioned the low quality and not capping very well. But with a 85% people rating it with 4 and 5 stars I think we can recommend this as a good bang for your bucks. I read a few times that the magnet came of but like mentioned it is not a necessity to have the magnet on there. It works also without it. Just a convenience if you like to put the cap on the machine instead of placing it on the bottle. One word of advice. It seems that it does not need a lot of force to make this capper work properly. It sounds that if you use to much force it will not do to good. Might need a little practice like anything else. Our opinion about the Red Baron hand bottle capper. After reading a ton of the reviews and looking at some forums we can safely say that this hand capper is a great value for what you pay for it. You can buy them in you local brew store but also in many online stores and sometimes for a better price. Even a little higher rated is this Mr. Beer hand capper and also comes with 1 bag of metal caps. I was just not able to find how many caps are in the bag. This Mr. Beer capper is not for screw bottle tops but only for the pry of ones. Just like we mentioned before there is no bottle capper that fits everyone his or her needs. This Mr Beer product also has some people who not like it. 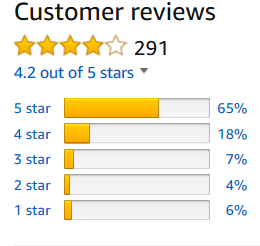 the percentage of lower reviews is however very low. Only 6% had a complaint about it. like anything else you need to get used to working with the Mr. Beer capper. If you are used to it there are no problems and most people mention it seals very well. I read about someone who had some arthritis in his hands that wrote that he had no problems and that it needed not a lot of strength to use. For some reason people use this capper for many other products than just home brewed beer. 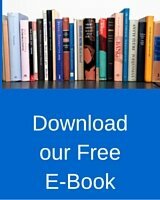 I read about using it to cap Kombucha and other drinks that you can make at home. Little higher priced than that Red Baron but also a little higher rated and a few less lower ratings. I think it is more a personal preference to use this particular brand. Still advised as a good buy and still very affordable for what you get for your money. This is the only hand bottle capper I found that is made of steel and not plastic. Reason enough to have a good look at it because I always have doubts when any product is “universal” in the home brew world. But since most beer bottles are the same size on the neck I guess you could use the word universal for a bottle capper like this one. Like the others it does not work for twist caps but only for the pry ones. The questions we found were mostly if it would fit a certain type of bottle and the answer was most of the time that if it is a standard size this capper will fit. In the reviews we read it showed that this is not as universal as advertised and like I already suspected. When you use this capper it leaves a little dimple in the middle of the cap and some users did not like that, but after doing some research from my side this is a feature that is there with the purpose of helping providing a tighter seal. It appeared to me that although this one is made of steel and is very sturdy there is not much difference in how it caps bottles compared to the two above that are made of plastic. Priced in between the Red Baron and the Mr Beer in most shops and online this is just as good as the other two we reviewed here. The term universal is somewhat misleading and it is only universal for the standard beer bottles. Again a good bang for your bucks and recommended just as well as the other two hand bottle cappers. A bench capper or counter top capper can not be compared with a hand capper like we looked at earlier. The price is a lot higher but it is also a lot easier to use and will probably last a lot longer. I would only consider one if you bottle a lot of beer or other type of liquids. We had a look at a few of the most sold ones that also has the highest customer ratings and satisfaction. It is hard to find people who use this heavy duty bench capper and took the time to write about it. I apologize for the very large picture but what ever I tried I could not make it smaller and still look good enough to show all the details. EC. Kraus is a well known company and they sell a lot of products for making wine at home and products for brewing beer. The weight of this what some people call “beast” is about 20 Lbs and is made in Italy. The base is 9 inches in diameter. It comes with two capping heads. The large European and the smaller US capping standard size. 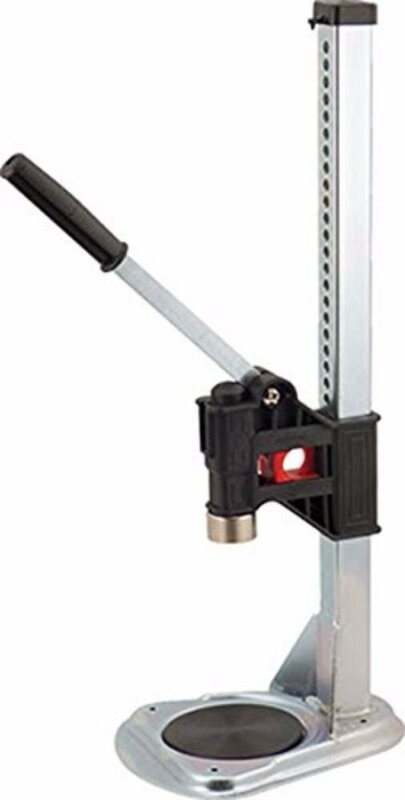 This capper can be mounted to the bench for even more stability. Lets see what the users think about this thing. Like I mentioned it was not easy to find to many reviews but the ones we read are totally happy with it. 88% gave it a 5 star rating and 12% a 3 star rating. 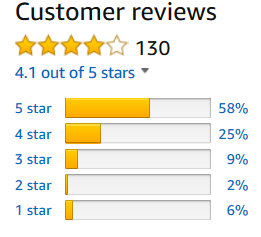 I could not find any lower ratings than these few 3 stars. Here are some things we found out. If you use the larger 29mm caps this is the one you should be looking at according to a few users. Some advice is to use a little olive oil on the capper to make it work smoother and prevent the bottle from getting stuck. This capper is build like a brick is one of the most mentioned remarks in combination with that if you cap a lot of bottles this is the one to go for. After reading about this capper we can only recommend this as a great buy if you bottle a lot or if you have some extra money to spend. The capping will be more consistent and of a better quality I read. Expensive but worth every penny you pay for it. You can read all Customer reviews here. To make it clear from the start and not to wast your time, this bench capper is only for the US size caps and can not be changed to the larger European size. The minimum size bottle you can use is 5 inches and the maximum size is 16 inches. I read that you can drill some extra holes to make it suitable for smaller bottles. This will however probably effect the manufacturers warranty. This capper is best used mounted to the bench top I read. Standing loose it is needs support to make sure it does not fall over. The quality and solid build is often mentioned as great and I read that one person run over a 100 bottles without any problem and or issues. I think the model number is HOZQ8-1553 Colt for if you like to dig a little deeper. 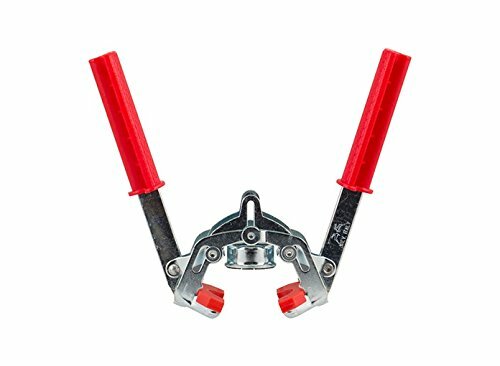 The price of this bench top capper is a lot lower than the other ones we reviewed but we could not find that back in the performance. It does just as good as the more expensive ones. But to be hones we also did not find as many reviews of it. Overall I think we can recommend this Bench capper as a good buy and that it will give you a great value for the money you spend on it. You can find all the customer reviews here. 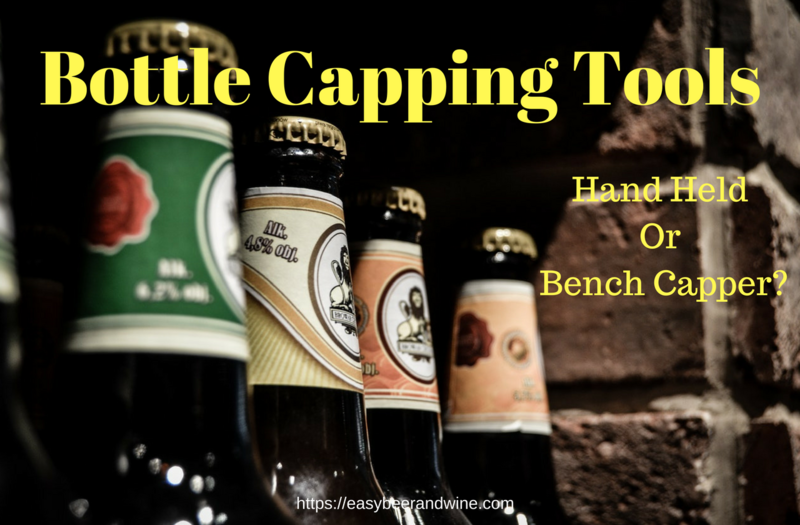 When capping beer bottles or any other bottle it always seems like you could use a third hand. A hand capper means that you have to position the cap on the bottle or on the magnet of the capper and than let go of your bottle and use both hands to work the capper. A bench-top or counter top bottle capper allows you to keep the bottle in place and keep both your hands free for working the capper mechanism. My opinion is that a bench capper is only for if you brew a lot of beer to be cost effective. But if you have the money you should invest in one. They will in general make it easier to cap your bottles and will, if you take care of them, probably a lifetime.